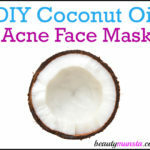 DIY Coconut Oil Face Mask for Glowing Skin - beautymunsta - free natural beauty hacks and more! 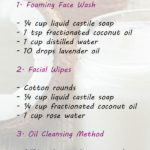 Coconut oil is awesome for skin! It is filled with healthy fatty acids that deeply nourish skin, making it glow with radiance! 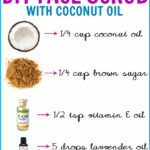 Try this DIY coconut oil face mask and see for yourself! Before we move onto the recipe, let’s check out what exactly coconut oil contains that makes skin healthy! MCT’s – This is Medium Chain Fatty Acids in full form. Coconut oil is rich in them! 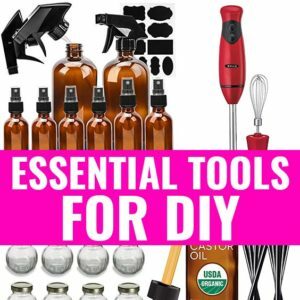 Some of them include lauric acid, caprylic acid, capric acid, mystiric acid and stearic acid. What makes these fatty acids special is that they have a small molecular structure which makes them able to easily penetrate into the skin. So they go deep into the skin and nourish the skin cells, supporting their healthy function. These fatty acids also moisturize skin and prevent premature wrinkles from forming! Vitamins – Coconut oil contains vitamins like vitamin E. These vitamins are powerful antioxidants that fight off free radicals responsible for scavenging oxygen molecules from healthy skin cells. Vitamin E also heals blemishes and keeps skin radiant. 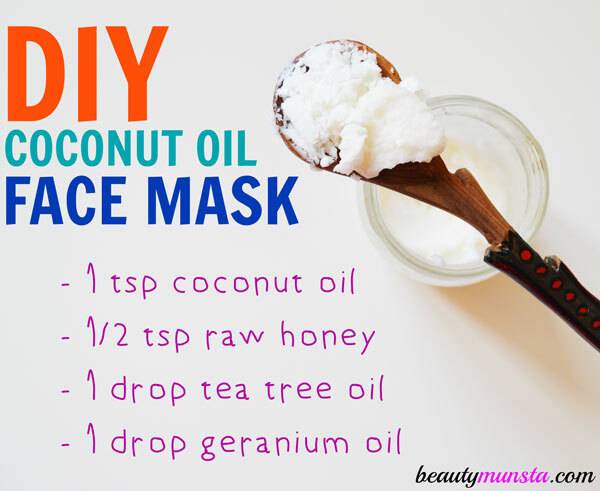 Okay, onto the DIY coconut oil face mask recipe! Into your small bowl, add a tsp of creamy coconut oil. If it’s hard, you can pop the coconut oil jar in a bowl of hot water – that’ll soften it up! Next add the raw honey and a drop of tea tree and geranium essential oil each. Mix everything up with a spoon to form a creamy paste. 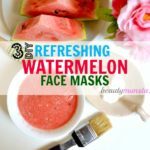 To apply, scoop up the mixture and rub it gently all over your face. Do not apply too much as to make it drip. It’s best to apply this mask in the shower. Now wait for about 3-5 minutes for it to penetrate, then rinse off with warm water. Do the final rinse with cold water then pat your face dry. 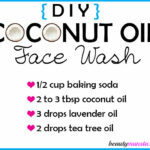 There’s no need to moisturize since the coconut oil face mask will leave your skin moisturized, soft and supple!